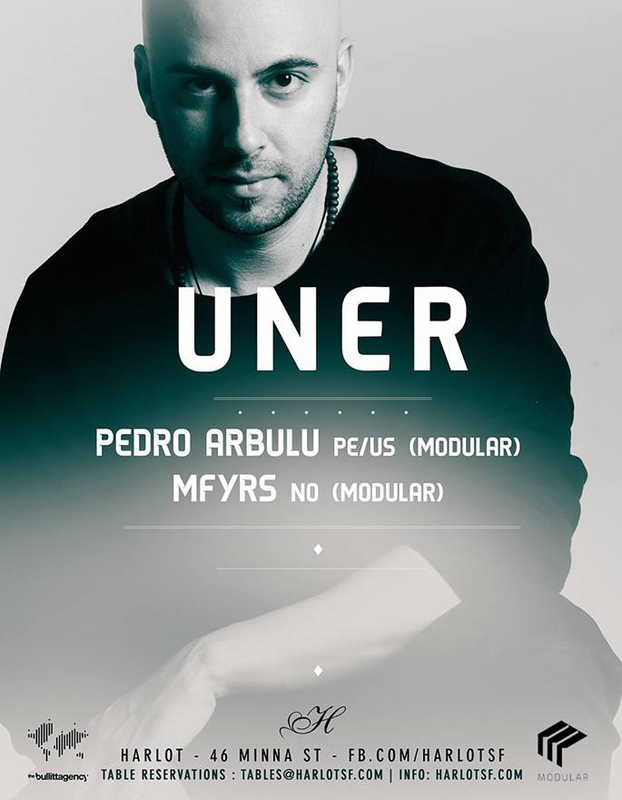 Uner is one of the most important names of the new generation of Spanish electronic music producers. His musical training allowed him to develop at a very early age a different dance music concept, based on the pleasure for harmony and the search for a unique, personal sound. This has lead him to edit for labels like Diynamic (where he’s an active member and has edited some of his most celebrated works, “Raw Sweat” and “Bassboot”, one of the most RA Top Charted Tracks in 2011 ), Cadenza (making his debut on the label with “Pallene” and “Cocoua”, most-hyped UNER’s tracks ever), Visionquest, Cocoon or Cécille to mention a few. UNER has earned the respect of the music industry with talent and work: names like Luciano, Carl Cox or Laurent Garnier play his music on a regular basis; clubs like Berlin’s Watergate or Space Ibiza. Festivals like Sonar, Monegros or Rock In Rio book him oftenly; in 2012 he reached renowned positions in Resident Advisor charts (top 10 most charted artists of the year, three tracks in the top 100, top 40 most charted artists ever). Without a doubt 2012 was a great year for UNER but his ambitious spirit give him enough energy to go ahead for the next step. The results are obvious, especially in Ibiza, where he is involved in important parties such as Insane (Pacha), Ants (Ushuaia), Diynamic Neon Nights (Sankeys) or Carl Cox The Revolution (Space). Apart from traveling around the world as a Dj, in 2013 UNER is still developing the live performance act, an audiovisual concept in which he uses state-of-the-art software and hardware to explore his most solid, personal side. The artistic expansion of the Catalonian producer will go on during the following months with the release of his debut album where he’ll express his way of understanding electronic music from a musical point of view and from the center of the dancefloor. JOill, Detroit-bred, has been calling San Francisco his home since 2001. His name is a combination of the classic American name, “Jo”, combined with his Korean roots & middle name,”ill.” JOill has been performing musically since 1986. His background & training in Detroit in his early ages as a jazz saxophonist was a great platform for him to grasp the electronic side of music. Growing up by both Detroit & Chicago, these concrete-jungle-like classrooms gave him access to many styles of music early on such as Motown, Blues, Jazz, Rock & Roll, Hip Hop & of course, his main choice as a DJ, Electronic Dance Music. JOill has been lighting up the dance floor as a House DJ since 1996. He has also been known to drop a sick hip-hop & old school set as well. To try & classify him would do no good. His electrifying style of music combines elements of deep, tech, nu-disco & soulful house that result in an infectious groove. JOill has been known to move dance floors around the globe. Not only has he performed at prestigious clubs, parties & festivals around the U.S., he has & still is working internationally as well. You can find JOill gracing the historical stages of France & Bulgaria, the tropical paradises of Brazil & the fairy-dusted deserts of Burning Man, to name just a few.